pages de vocabulaire illustrés 27 feuilles d'exercice..
Voici 20 mises en situations touchant la thématique de Noël. 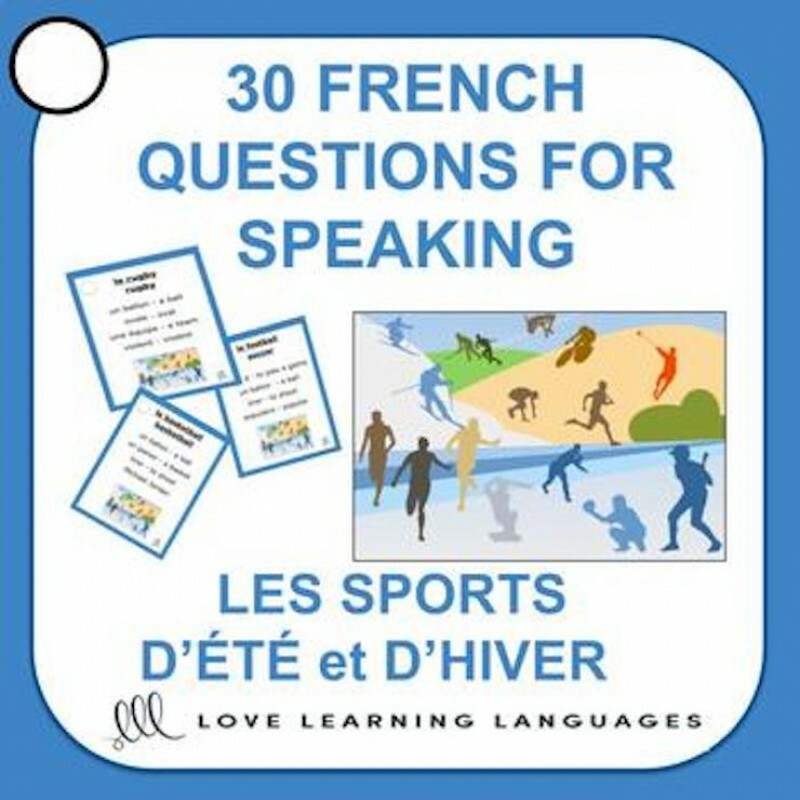 Ces mises en situations pe..
Ce document de 7 pages propose plusieurs activités pour des étudiants adolescents ou a..
Want your French students to use their SPORTS D'ÉTÉ et SPORTS D'HIVER vocabulary? This NO PREP activity is a fun way to encourage your intermediate to advanced students to speak more and is a perfect resource to use in immersion, core or homeschool curriculums. Parfait pour vos cours de français langue étrangère. You can use these cards after teaching specific vocabulary for SPORTS or as a fun interactive activity on a day when you want to just focus on speaking and reviewing vocabulary in a different way. Read on to find out 9 ways I like to use these cards including the very popular SCOOT game. Instructions and recording sheet are included. All cards are visually stimulating and feature a circle to punch out in the upper left corner so that you can print, laminate, cut out, punch holes and hook the cards together with a keyring. Using these cards this way makes it easy to pull them out year after year to use as NO PREP speaking activities. ➤ Print, laminate, cut out, punch holes and attach on a ring for small groups to ask and answer questions. Answer key is provided for small group work or centers. ➤ Students who finish their work earlier than others can choose a few of the cards and write out correct answers to false statements. ➤ Scoot: Put one card on each desk in the classroom. Give each student a response sheet and set a timer to give them just enough time to answer true or false and to correct the false statements. When the timer rings students move on to the next desk and the next question. All cards are numbered so it is simple to stay organized. Full instructions are included. ➤ Use the cards as an icebreaker activity at the beginning of the school year or right after school holidays. ➤ Great resource for tutoring sessions and vocabulary building.